CCRC Chairman Don Williams Jeopardizing the GOP Committee’s Tax Exempt Status | Virginia Right! I was talking with a friend about the Chesterfield County Republican Committee meeting the other night. He was quietly using his cell phone camera to record part of the meeting. Committee Chairman Don Williams informed the gentleman that recording was prohibited because the meeting was Copyrighted. Coffee nearly shot out of my nose. As a musician I hold the Copyrights to more than 100 songs I have written. And as an active member of the Richmond songwriting and music community, I have attended many sessions on Copyright law. One of the members of a local songwriter’s group to which I belong, in addition to being a songwriter himself is also an Intellectual Property Attorney. Copyrights are his specialty. Under the Copyright Act, a work is fixed in a tangible medium of expression “when its embodiment in a copy or phonorecord, by or under the authority of the author, is sufficiently permanent or stable to permit it to be perceived, reproduced, or otherwise communicated for a period of more than transitory duration. A work consisting of sounds, images, or both, that are being transmitted, is ‘fixed’ . . . if a fixation of the work is being made simultaneously with its transmission.” See 17 U.S.C. §101. Fixation is a requirement for obtaining a copyright. I’m not even sure where to start with William’s absurd assertion that the proceedings of a meeting are Copyrighted. First and foremost, a Copyright protects the creator or author’s original work. When I write a song, I am the writer, the author and the creator. A Committee meeting is simply not the work of Don Williams. He is not the author or the creator of the proceedings of the meeting. So he fails to qualify for a Copyright on that point alone. So the statement my friend says Williams made is absurd and completely false. And I am not sure what is going through the minds of people like Williams and Hanover Republican Committee Nancy Russell – or others that could be mentioned here. Republican Committees are considered Political Organizations by the IRS. And there are rules and laws that must be followed in order for these Committees to keep their Tax Exempt Status. Now we all know about IRS targeting of TEA Party groups. These are Tax Exempt groups that must follow IRS rules to keep their tax exemption. And there is a lot of scrutiny placed on these type of groups and there are things they can do and things they cannot. They cannot endorse a candidate or campaign against a candidate. They can educate on issues and sometimes the issues define the candidate, but that is an indirect link. And the reason behind this is that these groups take in money and can have a great deal of influence in elections. Political Committees are considered Political Organizations by the IRS and they are subject to their own laws and rules. And when they violate these rules, they are subject to numerous actions by the IRS. Some of these could be severe and the group could lose it’s Tax Exempt status. And in some cases, individuals could be targeted by the IRS. And by influence standards, Political Organizations come under an even higher scrutiny that TEA Party groups because they are allowed to advocate for candidates and give money to candidates. Williams and Russell often act as if the IRS is not a factor. The RPV Party Plan clearly states that Committee Meetings (and most other meetings except Executive Sessions) are “open to the public”. Why is this? Because these Committees wield considerable influence on elections and the voters have the right to see what is going on. And they also have the right to record the proceedings without interference from Committee officials or anyone else. Now excessive noise or lighting that is disruptive is not allowed. But a small camera or cell phone camera or recorder is completely silent and non-intrusive. In a meeting that is “open to the public” Don Williams has no authority to prohibit individuals from taking video. The meetings, the minutes and financials are all open to the public and anyone may demand to see the Committee documents at any time. So it probably comes as a surprise to Hanover’s Russell that when she told non-members to leave so they could reveal the treasurer’s report, that the people who were asked to leave have every right to see them. documents filed with the IRS. The organization may not disclose the names and addresses of contributors listed on Schedule B of Form 990. However, other information on Schedule B is open for public inspection unless it clearly identifies the contributor. Returns need to be available for public inspection for only three years after the due date or filing date of the return (or the filing date of an amended return). http://www.irs.gov/uac/Freedom-of-Information-Act-(FOIA)-Guidelines#Fees for current IRS copying fees. Although the IRS charges no fee for the first 100 pages, the organization can charge a fee for all copies. The organization can also charge the actual postage costs it pays to provide copies. A tax-exempt organization does not have to comply with individual requests for copies if it makes the documents widely available. This can be done by posting the documents on a readily accessible Web site. 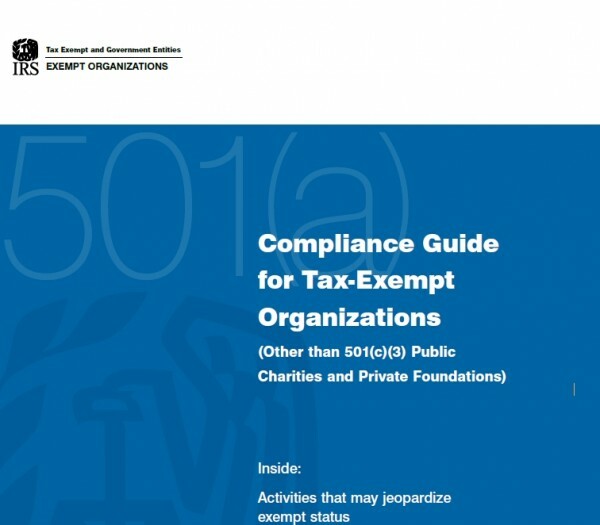 For details on disclosure rules and procedures for non-501(c)(3) tax-exempt organizations, see the Life Cycles of Section 501(c)(4), (5) and (6) Organizations and the instructions to Forms 990 and 1024 at www.irs.gov/eo. I would suggest that Williams and Russell obtain, read and comprehend the IRS Document shown in this post. I have read it and found quite a few things that both Hanover and now Chesterfield are doing in direct violation of the IRS Code. Both have shown behavior that could cause the IRS to disallow the Committees their Tax Exempt status, but also disallow them to be considered a Political Organization. I personally have 2 recordings of the Hanover Republican Committee closing the “open to the public” meeting in violation of the RPV Party Plan and jeopardizing the committee’s IRS Status. And from this point forward I plan to file complaints with the IRS should any additional violations of the trust of the voters arise. It is time for these Committees to start abiding by the rules they are required to live under which includes the RPV plan. These Committees can either enjoy the IRS privileges as Tax Exempt Political Organizations, or they can be a closed, exclusionary club and set their own rules. But they can’t do both. So record away folks. And if they demand you stop for absurd reasons like Copyright or ask you to leave because they don’t want you to hear something in an “open to the public” meeting, get them on video and file a complaint with the IRS, copy the State Board of Elections and the Republican Party of Virginia. And for anyone that actually left the room in Hanover and did not hear the financial report, you may request the report from Nancy Russell. And of she fails to produce the documents, let me know. That is a violation of the IRS code. And if you capture any good rants in these meetings, send them to me for posting. The CCRC, like all Committees are private organizations. And if the private organization votes to disallow recording of their meetings and you do it anyway, you are violating the organization and members in it. I suppose if the goal here is to send all meetings to Executive Session, then by all means please encourage your minions to record committee meetings when they are asked not to. Once the committee is in executive session, anyone violating the will of the committee will be asked to leave. No, actually you are an idiot if you believe that. They are IRS 527’s. And no, they cannot call a general meeting with all members and go into an Executive Session. The RPV plan tells exactly which members are part of the Executive Committee. And they are required to report to the full committee. You have no idea what you are talking about. Please point out the paragraph in the IRS reference you cite that states that meetings are open to the public. Hint: this is a trick question. Hint: The IRS requires that the Political Organization submit and comply with a Party Plan in order to receive and keep Tax Exempt status as a Political Organization. Hint: Said Party Plan requires that meetings be “open to the public”. I am willing to file proof with the IRS and test the IRS resolve to uphold it’s own rules. I believe this administration would love the opportunity to investigate and audit the RPV and it’s committees who are in non compliance with the IRS rules. I have done my research. But I am willing to pit the IRS against a Napoleonic Complex. Smart money is on the IRS. Is the CCRC willing to take the chance? Check with a Tax Attorney. You will have a different perspective. RPV party plan says meetings are open to the public. Let us invite the press to next CCRC meeting. Donald Williams learned his strong-arm intimidation tactics from Ray Allen. People that the Don wants removed, are shadowed by bouncers until they cower in fear and leave. Donald Williams was shocked to see new people wanting to join the committee and ordered his hit men to shadow some of them to show new members who the boss of the committee is. The Don had no problem with Cantor trackers filming him in the first 7th District meeting under Fred Gruber’s leadership.